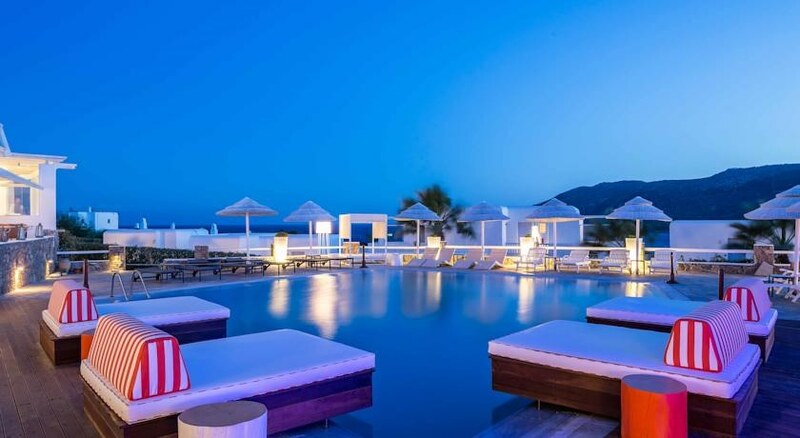 The Archipelagos Hotel is a 8250 square meter complex built according to traditional Mykonian architecture, on one of the most picturesque parts of Mykonos, Kalo Livadi. 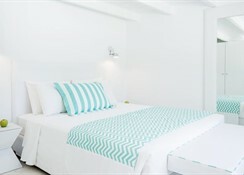 It consists of 42 traditionally decorated luxurious rooms that offer a breathtaking view of the clear blue Aegean. The hotel sits atop Kalo Livadi Beach and the smaller and quieter Loulos Beach is only 40 meters away. 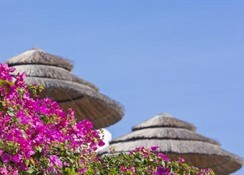 It is a wonderful holiday choice as there are a variety of facilities and services to ensure guestsâ?? utmost comfort, convenience and satisfaction. Included in the amenities are a swimming pool, a childrenâ? ?s playground, a roof garden, a poolside bar, a Jacuzzi, a gym, a restaurant that offers Greek and international tastes, and many more. There are also water sports available for those who seek more activity and the horse riding club offers pleasant rides around the island. Furthermore, the location could not be more perfect as Mykonos Town is only 9 km away and the airport is a mere 8 km. The Archipelagos Hotel will surely meet every hearts desire, leave a lasting impression and will most certainly turn a vacation into an unforgettable experience.